Singapore-based Fullerton Health looks set to transform its business operations in new partnership with Microsoft, promising a 100 per cent cloud shift within three months. In a first of its kind partnership for a Singapore healthcare organisation, the move of Fullerton’s business applications to the cloud will lay the foundation for the introduction of more advanced technologies such as advanced analytics, machine learning and artificial intelligence (AI). The move to Microsoft’s cloud platform will provide the capability to roll out such technologies and significantly improves the healthcare provider’s operational capability, better engaging doctors, clients and patients, as well as providing a mechanism to scale fast. The agreement, culminating in the signing of a memorandum of understanding (MoU), with the stated goal of 100 per cent on the cloud for approved processes in Singapore within three months with other markets to follow within the next 18 to 24 months. The partnership aims to drive the transformation of Fullerton’s existing infrastructure as well as laying the foundation and co-creation of scalable solutions. “Various trends like demographic changes, pervasiveness of connected devices, rise of chronic diseases and demand for better care are requiring healthcare companies to innovate and rethink the way they deliver care to patients,” said Dr Samuel Chong, group chief technology officer, Fullerton Health. "With the rise of emerging technologies such as cloud, big data, blockchain and AI, we see tremendous potential in tapping technology in ways that were more challenging previously." According to a recent study by Microsoft in partnership with IDC, more than 50 per cent of the 159 business leaders polled identified improving IT and data operations as a key business priority for 2018, with improving patient care and support, in addition to admission and patient records management coming behind. "Our partnership with Microsoft will allow us to digitise our operations and deliver better quality care in an affordable, accessible and sustainable manner,” said Chong. Furthermore, this agreement will see both organisation collaboration on three key areas, namely, foundation building, cloud-hosting data-driven approach, and driving innovation. In building a foundation, the alliance will see Fullerton Health move all its business applications to Microsoft’s Azure cloud services platform, transforming existing applications for the cloud, including primary care, claims management and customer relationship management systems. The increased scalability that the cloud offers will mean the healthcare provider can easily expand and grow its operations when required. Next is the adoption of a more data-driven approach, made possible by moving to the cloud - this will mean greater use of data-driven technology such as advanced analytics and AI solutions that would not be possible otherwise. The adoption of such technologies will significantly improve efficiencies and improve business value through, for example, improved recommendation for treatments, as well as the processing of claims more quickly and accurately with fewer errors. The agreement will also see both organisations develop, test, and deploy solutions together, and scale with minimal delay. 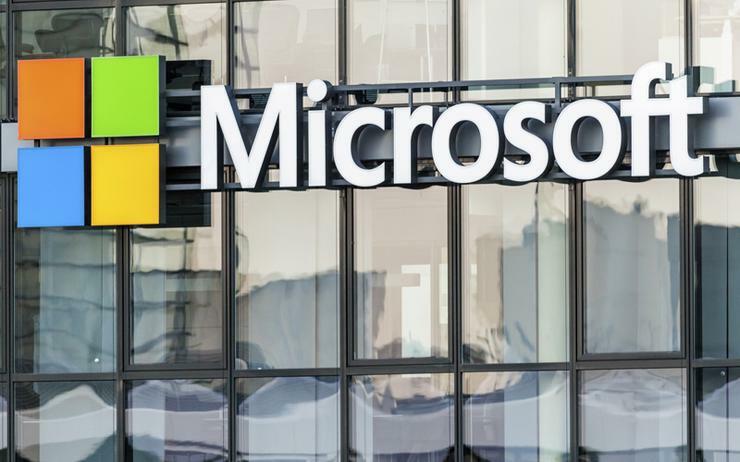 "While most healthcare organisations realise the need to digitally transform, they also need to address immediate business concerns,” added Kevin Wo, managing director of Microsoft Singapore. "Our partnership with Fullerton Health enables the team to rapidly transform through modernisation of its processes to address its immediate business concerns such as improving existing IT infrastructure and patient records management, while concurrently introducing technologies that will create greater efficiency and value creation for the business." What has held organisations back from such transformation historically has been security and privacy concerns, with an IDC study finding that information security and data privacy was the number one business concern identified among leaders in the healthcare sector. "Trust is essential for any organisation today, and especially so for healthcare organisations due to the volume of confidential data collected and processed,” Wo added. "Our services are built with security and privacy in mind, and our cloud services are one of the most certified offerings available in market today. "We do not take our customers’ data lightly, and we ensure that their data is managed securely and in compliance with local and global regulations and laws and that its privacy is protected." According to Dr Chong, Microsoft offers a "trusted cloud platform" which maintains compliance with applicable laws, regulations and key international standards, including achieving Level 3 certification in the Multi-Tier Cloud Security Singapore Standards (MTCS SS). "With Microsoft keeping their solutions in check and adhering to top regulatory requirements, our partnership ensures that we are adopting the best practices in cloud computing and we are able to accelerate our digital transformation journey in a world-class, measured and secure manner,” Dr Chong added. Fullerton Health was founded in Singapore in 2011, and today has over 500 healthcare facilities across Asia, including regional markets such as Singapore, Hong Kong, Indonesia, Malaysia and Australia.